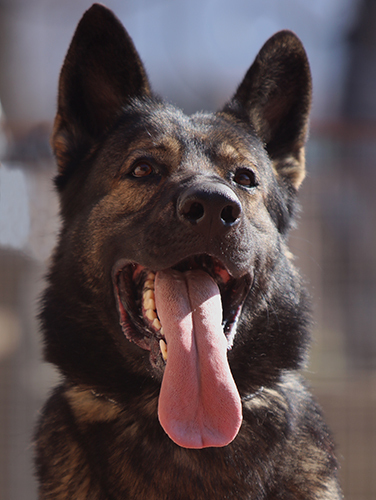 "Dravic" (Predator in English) is an extraordinary dog with an almost identical background to his brother Paxo. They are both just as sound in temperament and personality as can be. A bomb could go off next to them without either of them being phased. When it comes to size Dravic is even larger than Paxo, and should weigh in around 110 lbs. 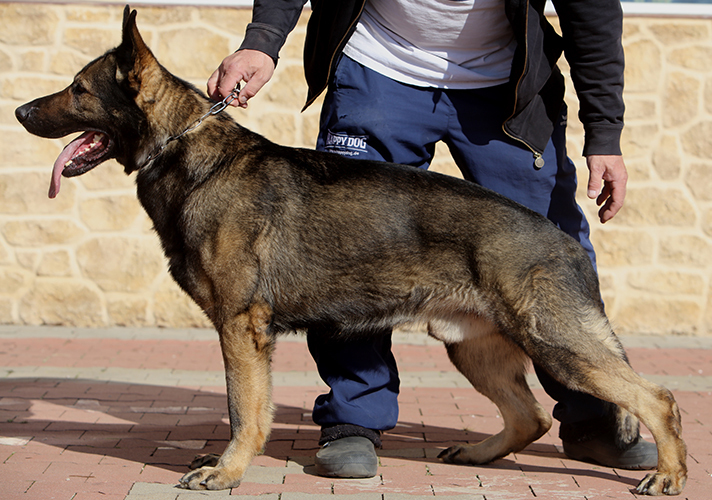 Ironically, both Dravic and Paxo have been trained in police K9 and dog sports as well as have competed in the show ring with the highest of ratings. Dravic's size alone is a very convincing deterrent. If size and stature are not enough, Dravic has tremendous drive, strong aggression and a crushing bite. 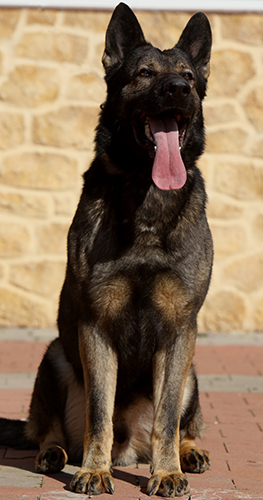 He has been doing K9 military law enforcement since he was a pup so is ready to excel in our Elite Family and Estate Protection Dog Program.